This charming raised ranch home is located in a secluded cul-de-sac and is settled in beautiful pine and oak trees. Every day you will be entertained by the deer and other wildlife. The main floor of this home has a living room and a family room, master bedroom, bathroom, kitchen and dining room. The open floor plan is great for entertaining. The basement has three ample sized bedrooms and a bath. There is an oversized garage for two cars, a workshop, and storage. This home needs some updating and was considered when pricing the home. 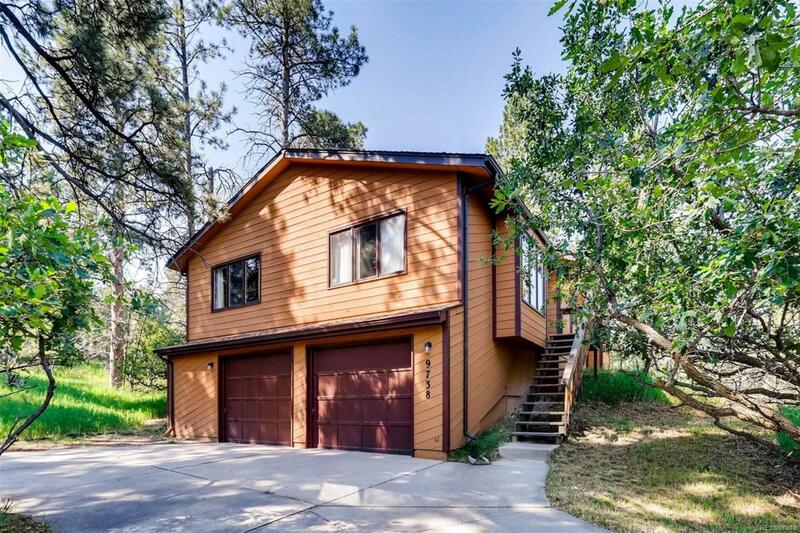 You will feel like you are living in the mountains but this home is only a short commute to Denver.